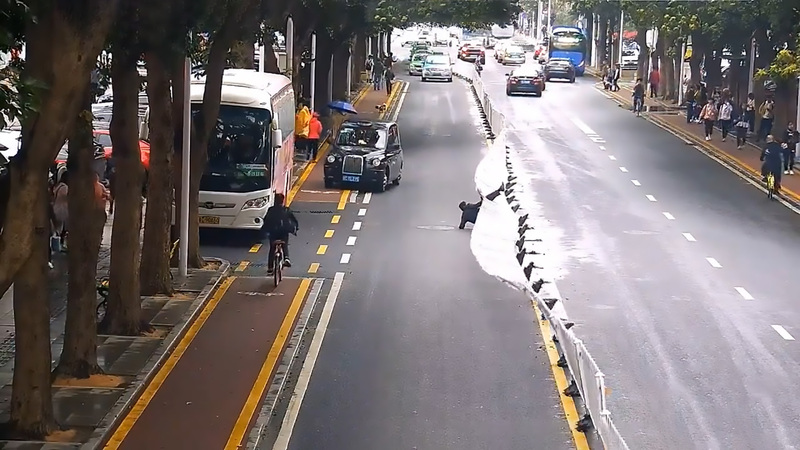 This hilarious footage shows a bungling pedestrian falling off and knocking down 100 feet of traffic barriers in a domino effect after trying to take a shortcut across the street. 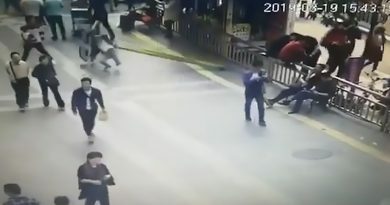 The footage was taken in the city of Zhuhai in South China’s Guangdong Province, where authorities say the culprit risked injuring other passers-by and causing traffic accidents. 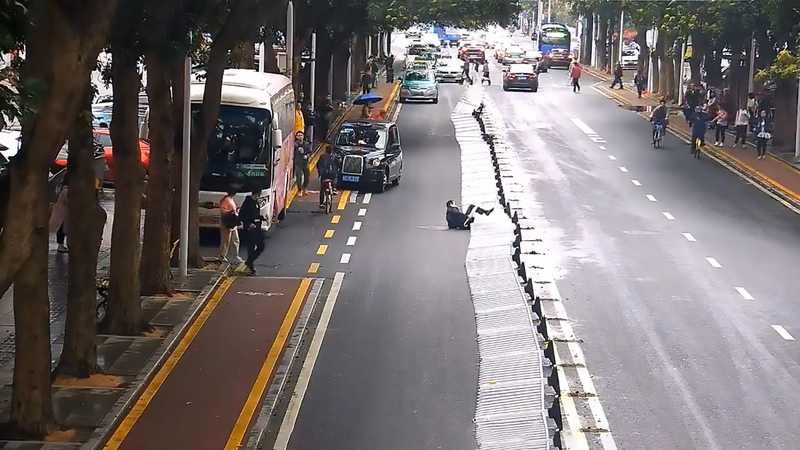 The video shows the brolly-wielding man eyeing the traffic barriers and appearing to make up his mind about climbing over them in order to reach the other side of the road. 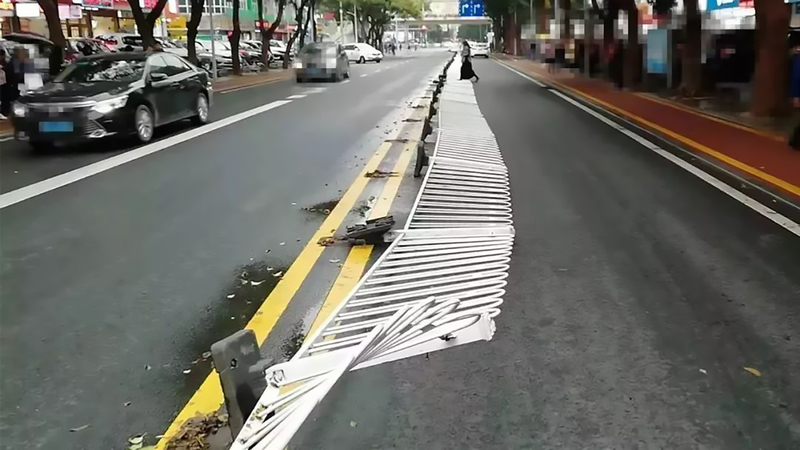 He begins by putting one leg across and eventually sits on top of the metal structure, but the bungling man loses his balance and stumbles back down again – pulling an entire row of barriers down with him. In the video, he lies on his back staring at the row of fences as they fall like dominoes for about 100 feet. 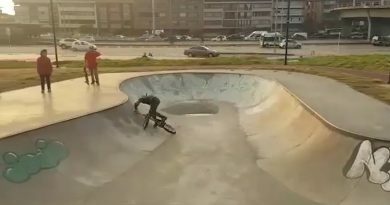 He tries to lift them up again as the video ends, but the authorities said he failed and later fled the scene. Local police righted the traffic barriers but have yet to find the suspect. The police say they are looking for the man and will presumably fine him.